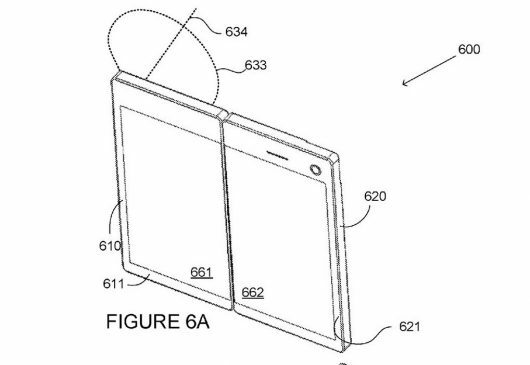 Microsoft has again come up with a foldable device patent. 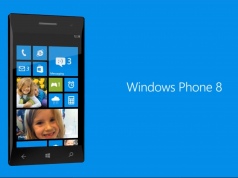 Giving us a refreshed look at what Microsoft might bring up this coming year. 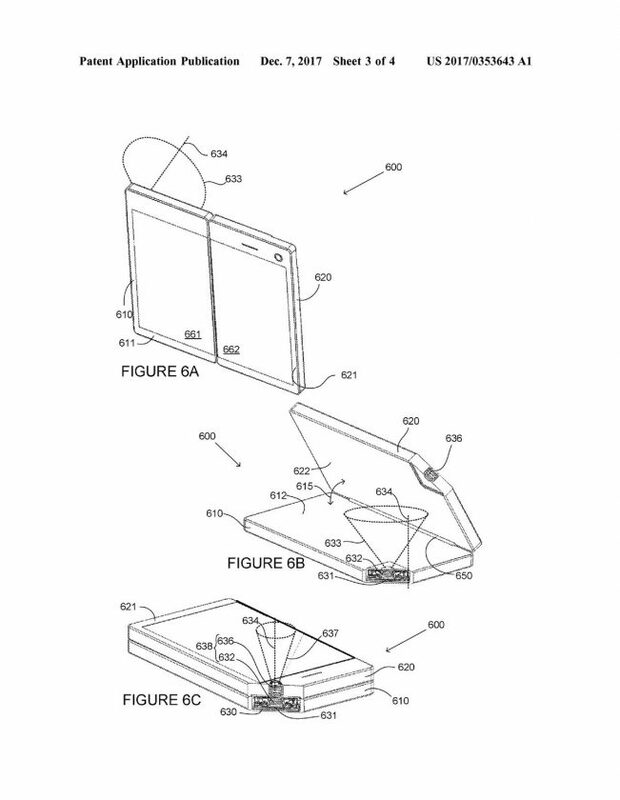 Microsoft has being filed several patents this past year that involve foldable devices. 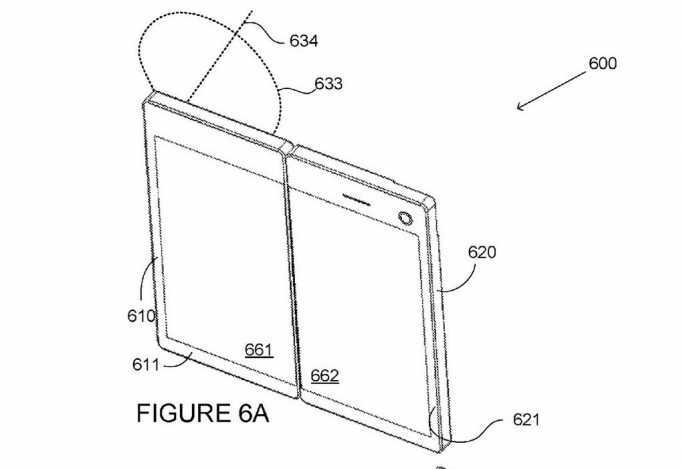 Also today another patent has appeared online by Microsoft which is the best look till now on what a foldable device from Microsoft can look like. The patent says “Portable device with adjustable optical arrangement” and looks like they have found a way to solve having two optical arrangement on a single device that can lined up when closed. To get the thin display the patent shows that the device might have a small cameras. By stacking the two displays back to back the optical arrangement can in effect double in size. The complexity which can come in the manufacturing of the device is the space available in the device. In particular, the thickness of the device is often limited, allowing a strictly limited thickness or length of the optical arrangement only. This may be the case, for example, in foldable devices where the maximum thickness of each portion of the device is restricted by the maximum allowable overall thickness of the device in its folded position. As we already know that Microsoft is working on a folding device with a focus on pen and digital inking. This device can be codenamed Andromeda as it is widely believed. Also this device might be similar to that of the Microsoft Courier but in a smaller pocket-able form factor. According to sources this device will be the first to reach the market with a version of Windows 10 that features CShell and buily with Windows Core OS. 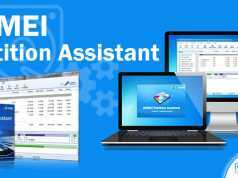 Also this device may utilize a dual-screen system. 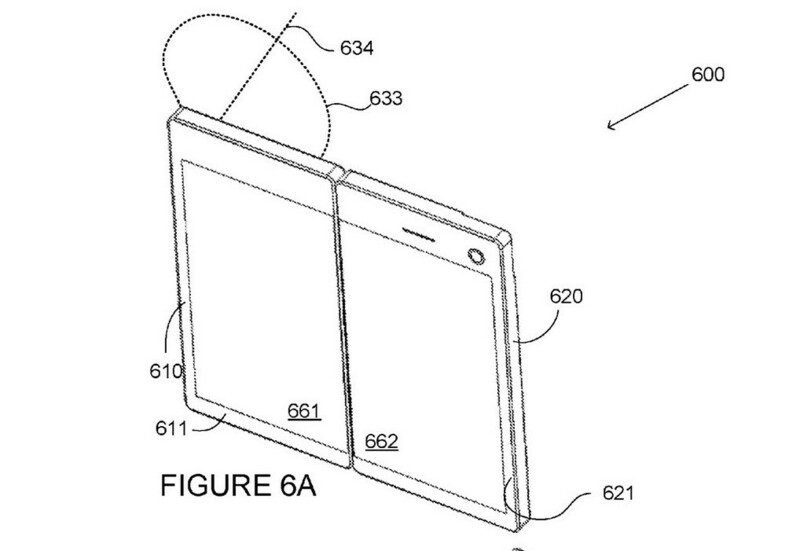 The patent shows that the dual-screen device that folds into a smartphone-like form factor. Patents are not always the actual representation of what the final shipping product may look like. Where Microsoft can any time discard the plan to release a foldable device. But if every thing falls at right place then it is likely to expect a foldable device in coming years. This was all about the new patent from Microsoft. Let us know your views about this foldable device and your expectation in the comment section below. Till then Stay Tuned to GizCentral for more update related to TECH. Next articleHuawei P11 to come with a 40MP Triple Leica Camera.